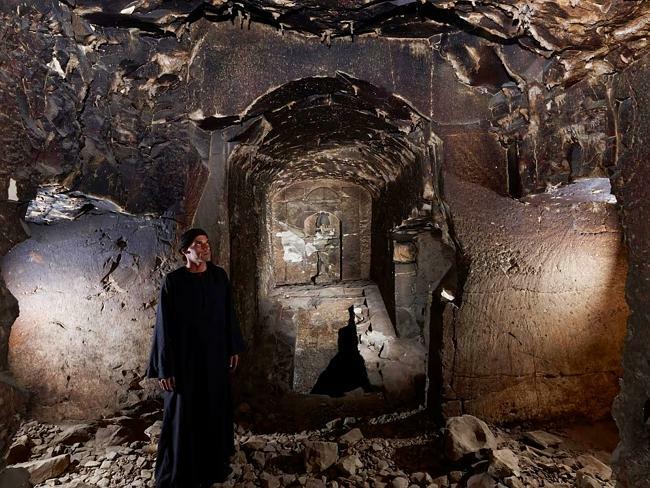 The tomb of an ancient Egyptian queen previously unknown to history has been discovered this month. Queen Khentakawess III (also referred to as Khentkaus III) lived in the fifth dynasty and is believed to have been the wife of Pharaoh Neferefre and the mother of Pharaoh Menkauhor Kaiu. Until this discovery, this ancient queen was completely unknown to recorded history. The tomb was found in Abu-Sir, South-West of Cairo, within the funeral complex of Pharaoh Neferefre. It is thought to be some 4,500 years old. Reliefs in the tomb referred to Khentakawess both as “wife of the king” and also as “mother of the king”, which suggests that she was the wife of Neferefre and the mother of his possible son, the Pharaoh Menkauhor Kaiu. When archaeologists discovered that the name Khentakawess had been inscribed on the walls, they dubbed her Khentakawess III, as there are two prior queens to have used the name, including the mother of Neferefre. The queen’s tomb held around 30 utensils fashioned from limestone and copper. Phahaoh Neferefre’s reign is believed to have been a short one. Modern scholars contend that he only reigned for one, or maybe two years at best. This is corroborated by data from the Turin King List and the fact that his tomb was never properly completed, but was seemingly rushed to competition following his premature death (detailed analysis of the king’s remains suggests that he died in his early 20’s). Today, Egyptologists know the tomb of Pharaoh Neferefre as ‘The Unfinished Pyramid’. Pharaoh Neferefre was succeeded by his brother Nyuserre Ini, who is thought to have reigned for at least 24 years. Nyuserre Ini was himself succeeded by his nephew, Menkauhor Kaiu, apparently the son of Kentakawess III. Tracking the lineage of Egypt’s ancient kings and queens is a tricky task and the notion that Khentakawess III was the wife of Neferefre and the mother of Menkauhor Kaiu is disputed. However, at the time of writing this, the consensus seems to be that this is her likeliest place in history. Egyptian antiquities Minister Mamdouh el-Damaty was hopeful that the discovery of this new tomb/monarch would help archaeologists and historians understand more about the Fifth Dynasty, which, along with the latter days of the Fourth Dynasty “witnessed the construction of the first pyramids”.